So it's probably about flippin' time I talk about these two fabulous products eh?! Actually, three if you count the shaker, which is a super little thing as it's so cute but also useful too! I've found that those qualities tend not to be compatible in most products, and I often have to sacrifice function for form... or vice versa. But not in this instance, which is a total result! So apologies for how long it has taken me to write but I really wanted to give these shakes a thorough testing before I wrote about them! 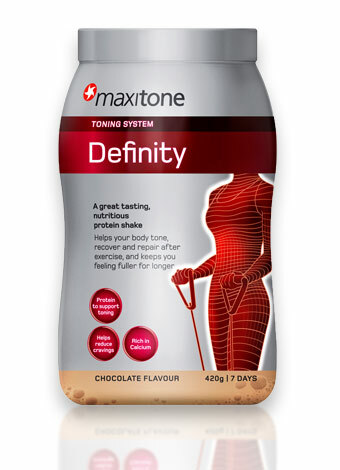 Firstly, being of the honest persuasion I must confess to my failings as well as successes on this blog, and I have to admit that when I first used my Maxitone Shaker I hit a great big FAIL! This was because I'm so used to using the boy's shaker of which I have many, in which there's a ledge/ridge where the 'mixing grid' (which is far superior to any other shaker I've tried... *zero* lumps as a result!) just rests. So, into the Maxitone shaker I popped the grid, gave it a jolly good shake and then wondered why it sort of disappeared into the mixture!! Noooo... this mixing grid is more advanced than that ladies! Right, onto the shakes themselves. I love the name of this drink. I didn't at first because I thought it sounded too much like a TV Gladiator, but now I think it's ace as that's exactly what I'm doing to myself at the mo - sculpting my ideal physique and every time I drink this shake I'm reminded of this fact! Sculptress mixes incredibly well in the nifty little shaker and tastes delicious. I'm not sure how/if the recipe has been altered at all but it tastes creamier and smoother to me than Promax Diet and I like the smaller serving size which means it's under 180 Calories and less than 3g of fat per serving! You do get less protein as a result (although Sculptress has slightly more protein per 100g), but to be honest, most women doesn't need a large amount of protein and 2 servings of this a day will give you 64g of protein in addition to your usual intake - more than adequate! Onto the fat burning stuff... well, for a start it's a low GI food which, along with the protein, guarantees that you'll feel fuller for longer as it releases its energy nice and slowly... there's none of those instant *kerrzing! * sugar hits followed by energy slumps that you get with the likes of Slimfast! In addition to this there's the green tea and caffeine that together help to fire up your metabolism and finally there's Conjugated Linoleic Acid (CLA) which, as well as helping keep your metabolic system firing on all cylinders, also has the added fabulous advantage of helping you to lose unwanted body fat but at the same time preserve and indeed build lovely lean muscle mass! In terms of when you should drink Sculptress. Well, as I eat 5/6 small meals a day (because no, snacking is NOT a sin!) it forms one or two of these; but if you're going to stick to less, I'd recommend you have a shake with your breakfast to rev you up for the day, and then perhaps one between lunch and dinner, say between 3pm and 4pm (i.e. classic 'afternoon slump' zone). However, I would say to avoid taking Sculptress after 6pm as it does contain caffeine in it and might disrupt your sleep if you take it too late. I can't work out which of these two shakes I prefer so it's a good job I've got both! Definity comes in a smaller size serving of 30g which you mix with 200mls of water in your shaker to give you a large glass of yumminess. With this you get only 120 Cals but also just over 24g of protein! There is less fat per serving too at just 2g. Definity has been a bit of a blessing to be honest and I'm gutted that I've worked my way through the tub so quickly but it's hardly surprising considering how much I'm drinking it! Anyway, what this means is that I need some protein as soon as I get home at night from the gym and I've been previously taking this in the form of cottage cheese, tuna etc which is just no fun all the time and I often don't feel like eating anything solid at 10pm!! 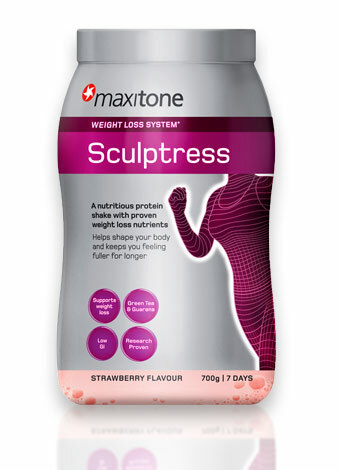 Honestly, since I started taking Sculptress and Definity - at least 2 servings a day, either 2 of Sculptress or 1 Sculptress, 1 Definity at night - I have noticed such a massive difference. I'm lifting lighter than I've done in the past but my arms have never looked as good before and my abs are starting to show through even more so too - I'm so thrilled!! me too re the shaker....glad to hear I'm not the only one who didn't realise. I love making smoothies at the weekend, when I'm less "harassed" ahem. 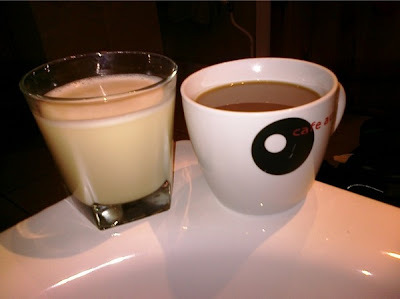 I prefer to do cardio in the morning and strength in the evenings too but once I shake off this grotty head cold I'm going to switch it around because I am just finding the mornings so hard for getting the cardio in, or more to the point washing and drying my hair waaah, not enough hours in the day! Reading about the Shaker made me chuckle...I ded exactly the same! the grid kept ending up sideways in the shake, but after I figured it out I decided I absolutly love the Maxitone shakers! I also found that Sculptress is smoother that Promax Diet. It seemed lighter and much tastier. Im going to try Definity next...can't handle the caffeine in Sculptress! hi what flavour would you recommend? Hi do you find it helps to repair your muscles? I am trying to train for a half marathon and am struggling with tired legs. Also I have heard that you should subsitute a meal when you take a protein drink is this true? Great blog, just what I needed to make my mind up. Which one of these shakes would you recommend I take and when should i be taking them? I am controlling my diet now by eating only grilled and steamed food and i do engage in cardio activity like treadmill and cross trainers everyday for 45 minutes. Hey, i m a man.. Are guys allowed to take the supplement aswell? or is it just for women.. I just want to tone my body a bit.. but i do not want to gain weight.. so if i used the sculptress will i see any results or not?